Do you have a sweet tooth? 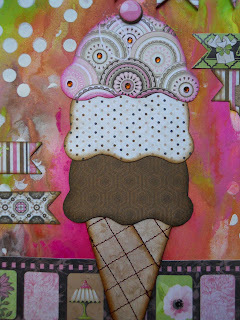 Because today is National Ice Cream Day! Drea here with the FotoBella Design Team, and in honor of this day, I created an art journal page with my Bo Bunny Sweet Moments Bundle and Dylusions Paints. 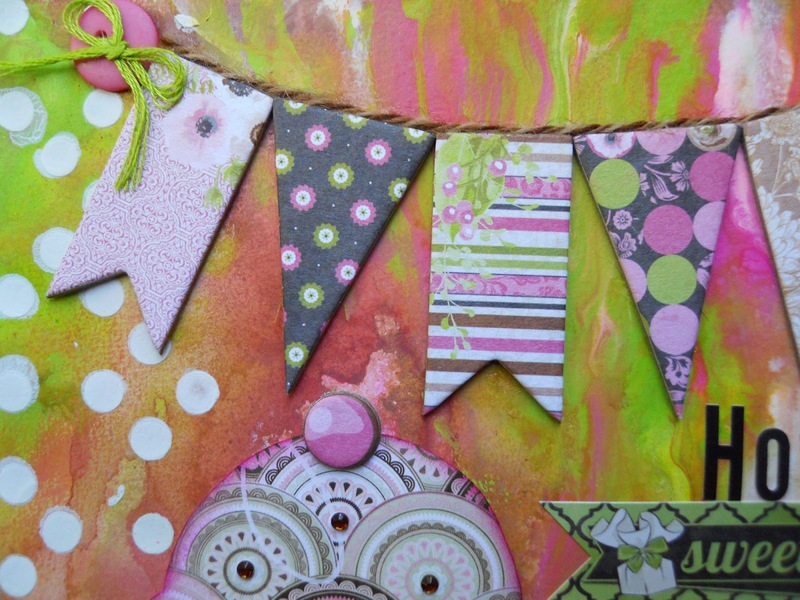 To make the background, I used my fingers to apply Dylusions Paints, (Bubblegum Pink, Fresh Lime, Melted Chocolate, and White Linen). 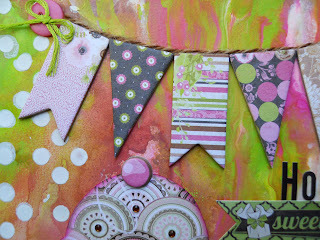 By spritzing with some water and tilting my page around, the colors were able to bleed and blend into eachother. 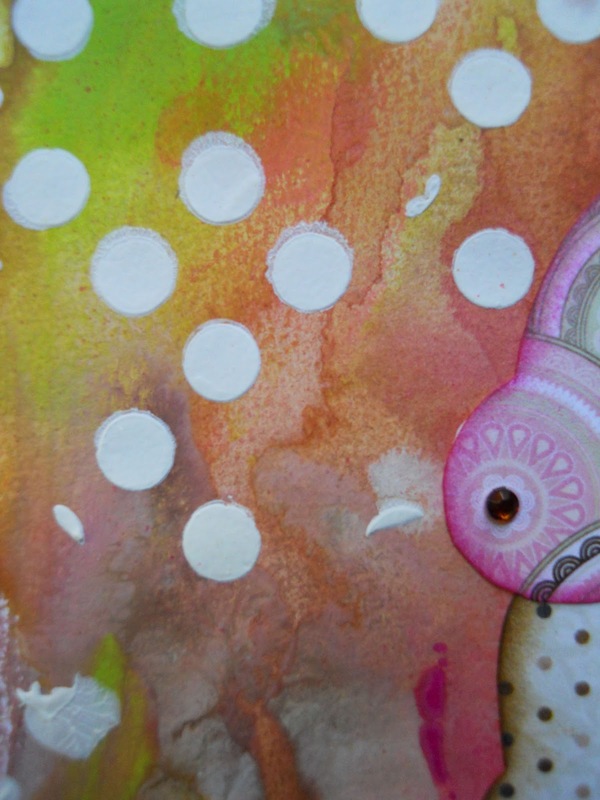 Then I applied white gesso to a polka dot stencil with one of my Bo Bunny Palette Knives. 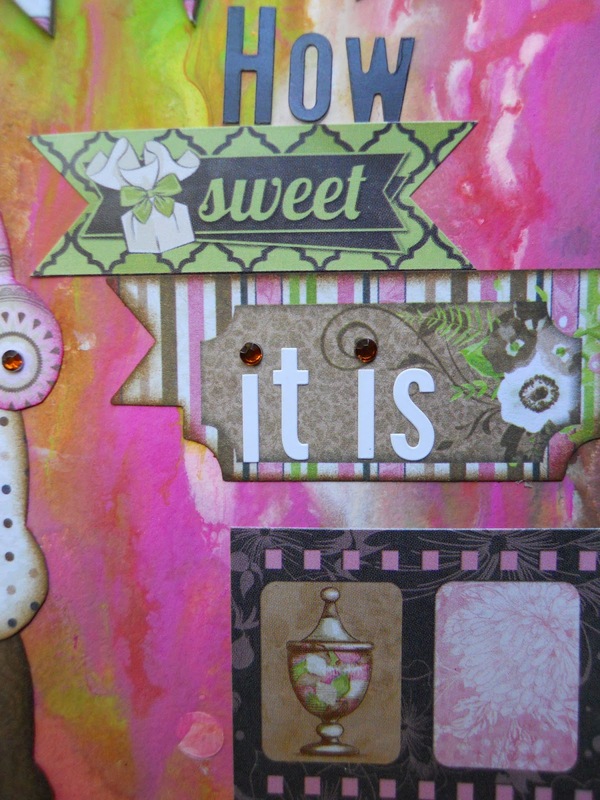 The banner is made from the Sweet Moments Chipboard, anchored by a couple of buttons from the Ephemera. For the titlework, I used a mix of Noteworthy and sticker banners, using black and white alpha stickers from the Bo Bunny Forever Young Collection. I made the pattern myself for the ice cream and cone, piecing it from papers in the 12 X 12 Collection Pack and the Ephemera.To make the cone I cut a piece of paper to measure 3 inch by 3 1/2 inches, and actually shaped it into a cone. Then I flattened it out, and sewed the grid lines with my sewing machine. 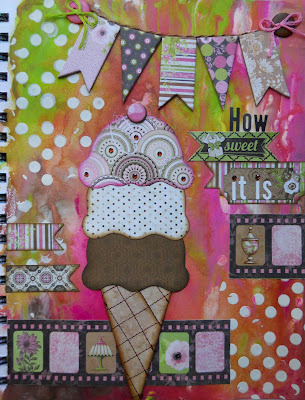 The edges of the ice cream were colored with Distress Inks, using my Blending Tool with Picked Raspberry on top, Gathered Twigs in the middle, also used on the cone, and Ground Espresso on the bottom. Then I added chocolate sprinkles on top with Bo Bunny Double Dot Mocha Jewels. So indulge yourself with some ice cream today, without the guilt, along with the Bo Bunny Sweet Moments Collection from FotoBella.com!